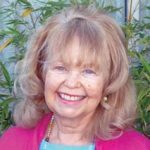 Nicky Bassett enjoys sharing her insights and experience in two areas she feels passionate about – the ancient wisdom of astrology and the art of colour. In 2000, after five years of study, Nicky qualified as a practising astrologer through the Federation of Australian Astrologers; and is a current member of the Queensland Federation of Astrologers. She became a colour practitioner in the 1990’s following three levels of study into the emotional, mental and spiritual impact of colour on our lives. Nicky used both these modalities in her counselling practice for many years. With tertiary qualifications in psychology and business administration, Nicky established her own management consultancy working with clients from around Australia; and was Executive Director of the Queensland Tourism and Hospitality Industry Training Board during EXPO “88. She also taught personal development skills at the Australian College of Natural Medicine for five years.